This sinus infection had my face in all sorts of pain... so I stopped at the Little Clinic on the way home from work. I love these places. I was in & out & had my prescription filled & headed home in less than an hour. The best inventions! I had ordered my new Garmin watch from Best Buy the weekend before & they told me it would be in 5 days later (BOO!) & I said OK. Well, then I got an email 3 days later saying it would be delayed & would take 30 DAYS TO COME IN. Shut up. I can get the same thing on Amazon for the same price on 2 day shipping. So I contacted them & told them I'd be returning it... & lo & behold, they told me that it did indeed look like it would come in on time. I told them if it wasn't there on Thursday, I'm coming in regardless & I'm either walking out with a watch, or a refund.... & ta-da... I got a watch. 563 / One night potty trips. 564 / Perfect lighting for Maternity pics. I loved my beautiful pregnant momma was willing to drive over by me to take advantage of the beautiful scenery... & we planned it for the most gorgeous lighting on her. I just love all her pictures in this session. So when I woke up with a fever & felt awful, getting the kindest surprise in the mail TOTALLY 10000% made my day. 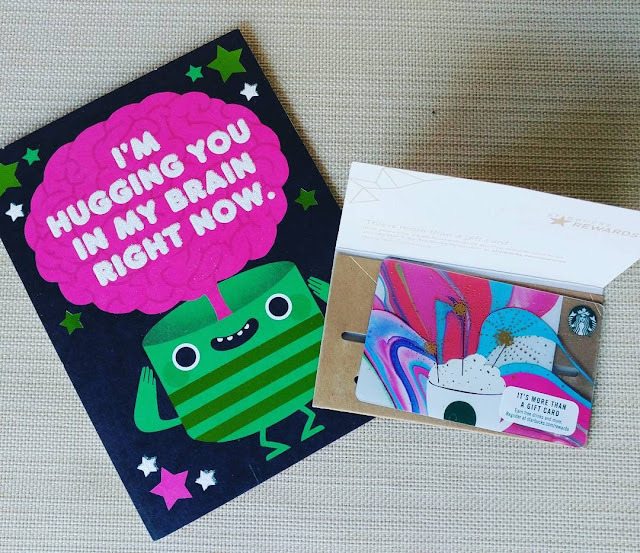 The sweet & precious & beautiful Audrey send me the kindest words of encouragement & a trip to Starbucks to enjoy. Girlfriend GETS ME!!!! .... 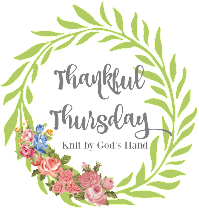 I'm telling you - I just LOVE Blog world & the amazing people in it. 570 / Youth kiddos mommas. I am loving getting to know my youth kids families - especially their moms. Such incredible women. I see where these girls get their kindness & love of Jesus. I especially love that these girls & their moms have the best relationships. Says a lot. 571 / Sunday with Ricky. Like I mentioned on Monday, its SUPER RARE Ricky & I actually spend a Sunday together, much less get to see much of one another so I loved that we got to have lunch & do some shopping together this past weekend. Panera at lunch is usually a MADHOUSE. I've seen people have to wait for a table to open up before... & on Eclipse day? It was like I rented out the place all to myself. It was HEAVENLY. Such a pun intended. 16 ... or 17... never looked so good on a dog. 576 / After the storm. It was so hot & humid & miserable the past few days.... & a huge storm came through & man, what a difference. Its like a small preview of Fall. I think we're having nice weather for quite a while. I'll take every bit of it. So what good things are you being blessed with this week? Hope you're feeling better! I hate hate hate sinus infections. I never got them (or had allergies) until I moved to this area ... yuck. How do you like your Garmin? Looks super-fancy :) I'm curious since I'm going to need to get a replacement for my Fitbit soon and figure an upgrade is in order. I've never heard of a Little Clinic. That sounds awesome. Those maternity pictures are gorgeous!! 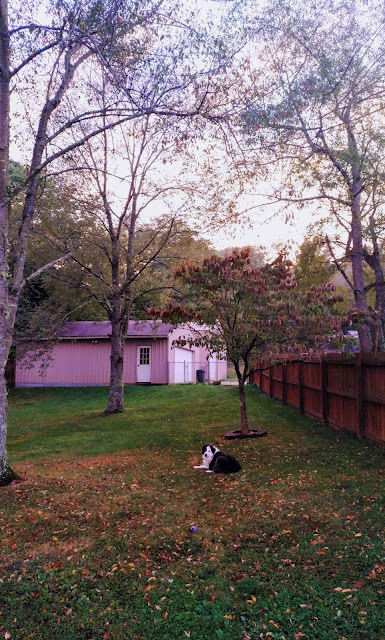 Some of your leaves are already on the ground! Wow!! Yay for getting the watch so quickly! A little weird that once you mentioned returning it, it was magically not delayed any more. 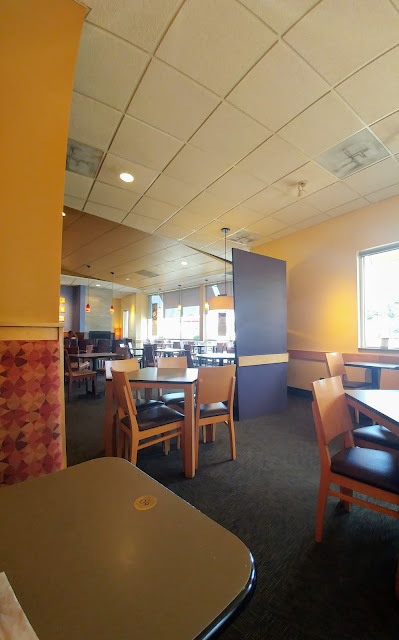 And that's funny that Panera was so empty, I don't think I've ever seen it like that. You did such an amazing job with those maternity pictures. She is going to treasure them forever. I came down with a stupid head cold yesterday and feel miserable. And a little loopy after taking cold medicine last night. So errr ... if my comment doesn't make sense - it's Nyquil's fault. LOL! And happy birthday to Bruno! YAY! new gadgets are always awesome. i love that one you got. Weather is amazing here right now too. I'm soaking it up! I'm glad your watch arrived on time! Your hair looks really good...great picture! Hope you're feeling better. That's so funny that the Panera was so empty on the eclipse day! Hope you are feeling much better now! I love the urgent care places around here too! In and out in a flash. I'm thankful that my surgery is over & that today I had a shower & actually feel lucid! Sorry about your sinus issue - I'll bet the hospital did affect it. Hopefully you'll be totally over it soon! And man that mama is LOVELY in those pictures! Late as usual, but linking up anyway. Loved your thankful post!! What a great list! Your Bruno with his little buddy is so adorable. I just want to scoop him up and squeeze...though given his age, probably not a good idea! Lovely lighting for that photo session. An empty Panera? That would be heavenly. I love the place (and wish we had one nearby) but hate how loud and crowded it is. 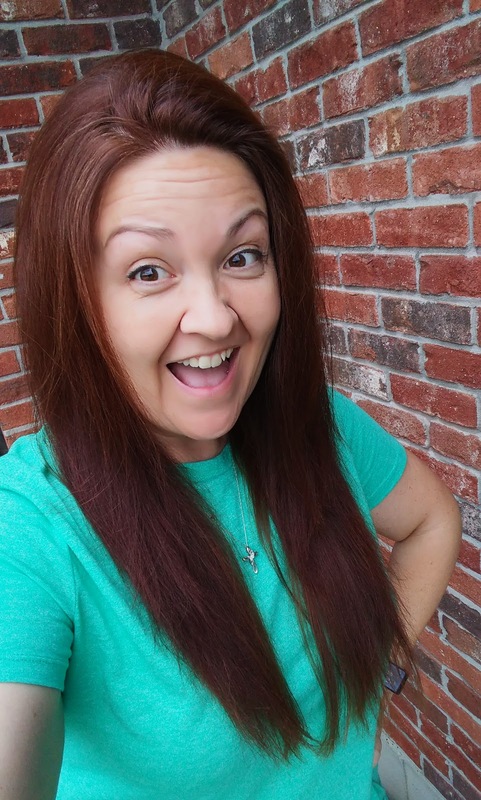 I love the color you do your hair. And I also love that you're so thankful for the days when Bruno only has to get up once to go potty. :) Wow, the difference after a storm is awesome; I always love the smell and the look of the glistening ground here after the storm. It seems like that's what God does through the trials that come our ways. He uses them to make something beautiful after the storm has passed through. And you take just the sweetest pictures; I love seeing snippets of the photo shoots you get to do. I love that clinic style doctor. 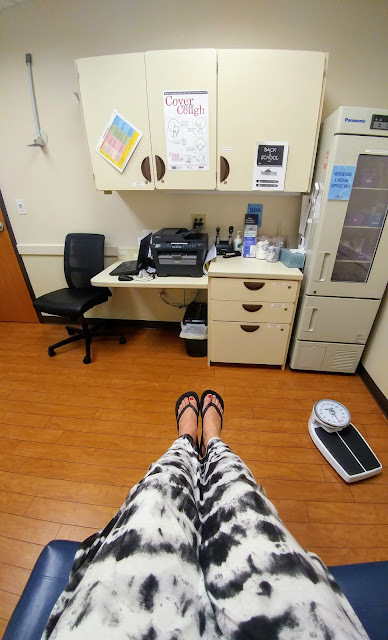 That is what I hate about the doctor's office. Waiting forever. Yay for sweet friends who send you thoughtful gifts. Happy Birthday to your pup!!! Loving the way your hair looks in that photo. 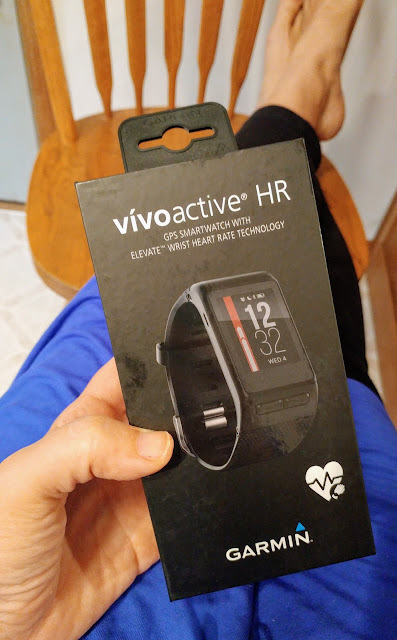 And also yay for getting a new Vivoactive HR!